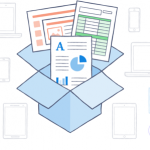 Dropbox for Business is a powerful, secure tool for business document management and control. Get the solution 300 million users trust to store, sync, and share files securely, along with the admin tools IT needs to protect your business. 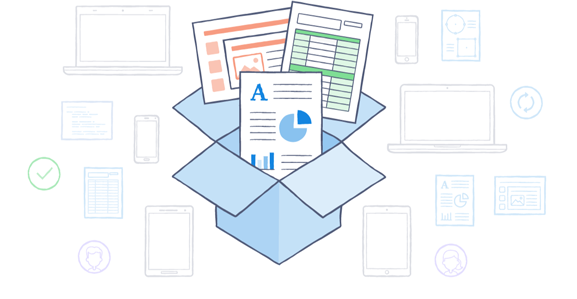 Dropbox for Business works with all the apps your team already uses to be productive — everything from Word and Excel to Photoshop and Acrobat. Plus support for Windows, Android, iOS, Mac, and Linux mean no one’s left out in the cold. Just create a folder, share it, and start collaborating instantly. Less training, more productivity. So long, clunky FTP servers, on-premises storage, and email attachments. With an intuitive interface and best-in-class performance, getting your team on one system is simple. Self-service features like unlimited deletion recovery and device unlinking let team members handle common tasks without bothering IT. All of which means less time training and troubleshooting, and more time being productive. Learn more about DfB.